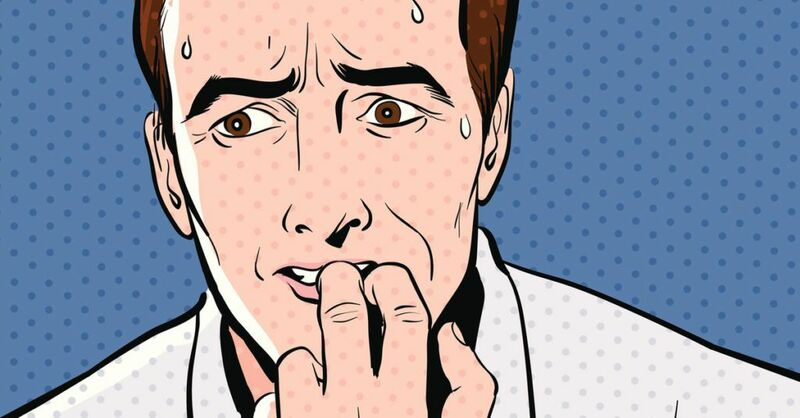 NYC Educator: What Makes You Nervous? For me, it's new things. For the longest time I was locked away in the trailer, and I watched people work on PowerPoint presentations. I thought how lucky I was to be in the trailer with no technology and no need to worry about it. I also thought it was odd I felt that way because I'm drawn to computers pretty much all the time. Three or four years ago I got a classroom, but the tech was broken. But I made it a point to hang my jacket on the broken smartboard. Whenever I got observed I would insist on getting credit for my innovative use of technology. Wouldn't you know my AP didn't see it that way? Not only that, but the following year, some diabolical force came in and put a functional computer and screen in the room. So I sat with a young Chinese teacher and asked what she used in her class. She showed me PowerPoint presentations she made and I was impressed. I thought, "What if I do the same thing, except in ENGLISH?" Sometimes I'm brilliant like that. So I started using it a lot, particularly to introduce vocabulary. It turns out that the pictures I used to draw are really awful, and that the photos, cartoons, and GIFs on Google images are a whole lot better. I started using Apple's Keynote and converting files to PowerPoint. Now I mostly use my own laptop and write everything in Keynote. I know a Spanish teacher who does incredible things with PowerPoint. Sadly, when she explains how she does them I have no idea what she's talking about. Also, all the advanced effects she does on PowerPoint seem unavailable on the Mac version. Toward the end, we all had to give 20-minute presentations. It was pretty nerve racking. I had never, ever given a formal PD before. Even more nerve racking was expanding it to an hour and giving it in front of my staff in September. Actually, though, the only reason I went for the training was so I'd be able to offer the CTLE credit so many of my younger colleagues will desperately need. Today, after school, I'm going to offer a two-hour version of this PD. It was kind of a long-term assignment to create a two hour version, and everyone in my summer group is supposed to complete writing it sometime around now. I'm always a little nervous when I try new things, but this seems to me the most nervous I've ever been. From years of masters-level classes and PDs, I can tell you that teachers are the toughest audience there is. I know well because I'm one of them. Now the woman who runs it is asking me if I'll do it again. Maybe, but I'll have to see how it goes the first time. Wish me luck, please. I'll surely need it.